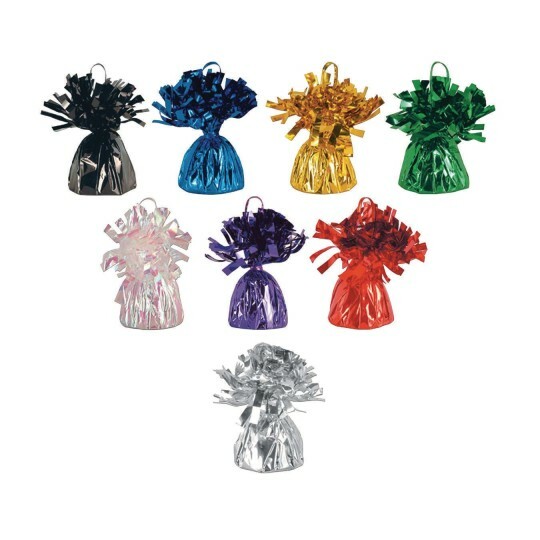 Metallic weights are cement-wrapped with a metallized PVC material and include a tie loop for balloons. Each weight will hold approximately twenty-four 18" foil balloons or eighteen 11" latex balloons. 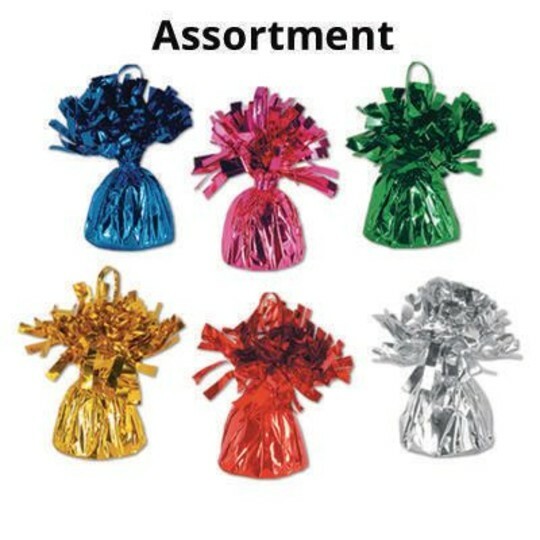 Packs of 12. Please specify color when ordering.